A natural, healthy-looking smile can do wonders for self-confidence, but not everyone is born with this advantage. Even then, stains or years of destructive bite forces can damage and spoil your smile. The science of modern dental aesthetics revitalizes a damaged smile or creates a stunning, new smile that appears so natural it can easily defy scrutiny. Some of the Bay Area’s most public clients would testify to Dr. Schultz’s skills and artistic savvy – if they didn’t mind giving away their secret. Dr. Schultz believes that it is never necessary to sacrifice comfort to create a cosmetically correct smile, because nature designed the dentition to make chewing efficient and enjoyable. When form and function are in balance, the result should be a natural, healthy-looking dentition that makes speaking and eating a joy - even if it is a stunning, dazzlingly white dentition. As a former post-graduate instructor, Dr. Schultz has promoted the principles of form and function at many of the dental schools on the West Coast. • Veneers – A veneer is a thin porcelain covering that is bonded over your natural teeth to reestablish natural-looking proportions and spacing. When these critical components are correctly designed, your bright white smile looks natural. Most veneers require only two visits, with such minimal reshaping of teeth that anesthesia is unnecessary – even for the most anxious, sensitive patient. • All-Porcelain Crowns – Crowns are essentially "shells" that fit over teeth. Crowns are usually 1 – 2 millimeters thick, and the goal is to take no more than this amount away so the tooth ends up the same size as it was. Crowns are used to provide support or function that requires more strength or retention than veneers can offer, such as revitalizing decayed or cracked teeth. Porcelain dental crowns are strong, and they blend in with the surrounding teeth or transform them for an entirely new, natural appearance. • Teeth Whitening – One of the most popular cosmetic procedures available, our Petaluma teeth whitening treatment is an easy way to boost your smile appeal. Our professional teeth whitening products remove years of stains and discoloration from the surface of teeth, revealing a fresh white smile. • Full Smile Makeover and Bite Correction - From a new smile to complete new dentition, Dr. Schultz chooses crowns, veneers, or other cosmetic dental care options to give you a comfortable new smile. 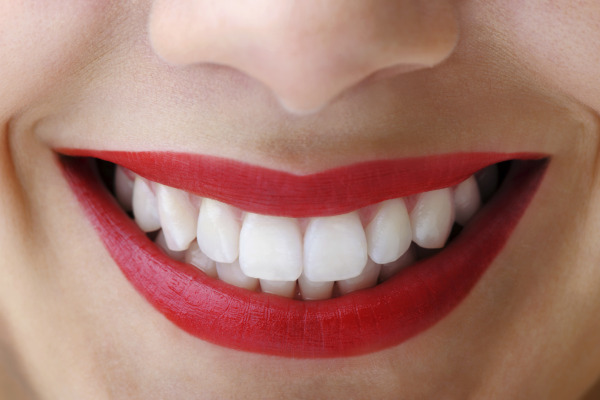 At the office of Clyde L. Schultz, DDS we believe a beautiful smile should also feel great! Dr. Schultz treats every smile as individual, which is why he feels that custom smile design is an important part of quality cosmetic dentistry. Our cosmetic dental treatments are custom-tailored to fit your unique needs. Our award-winning dental office can help build your confidence with a stunning, comfortable new smile. Our behind-the-scenes focus on bite alignment and function is the secret behind consistently beautiful esthetics – bringing you the ultimate in cosmetic dental care. Dr. Schultz and his team are great listeners; they take time to understand your concerns and fears, as well as your personal goals for your dental care, so that you receive the treatment that best meets your specific needs. As a team, you and Dr. Schultz will discuss all of your concerns before choosing a plan of action; you can count on being heard and feeling confident about how your care is handled. Ready for a New Smile? Call Dr. Schultz! Don’t settle for a smile that’s less than what you’ve pictured for yourself. To learn more about comfortable and beautiful cosmetic dentistry in Petaluma, contact our office today to schedule your cosmetic dental consultation.